We gather at six(ish) and begin eating at 6:30 pm. We try to finish around 8:30 pm. We’ll start a gently guided conversation on things that matter to us at around 7:15 pm in case folks with little ones need to get home by 8. This is a community meal, so we share in creating it. Please bring an item to share. We want to foster a healthy lifestyle, so please consider low sugar, organic farm-to-table foods. 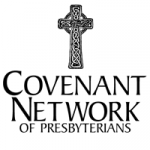 If you would like to be a part of this group, please email Julie Herdt at julie@dccpres.org. While this is a gathering of young people from DCC, it is not limited to this community. We will add you to the list for an evite with all the details. Childcare is offered at the church. If you have questions about childcare please call Kate Boxeth, our Minster of Children and Youth at (503) 799-7451. Davis Community Church collaborates with two amazing ministries, Davis Mosaics and CA House, to provide fellowship and programming for college students and young professionals. Feel free to check them both out! 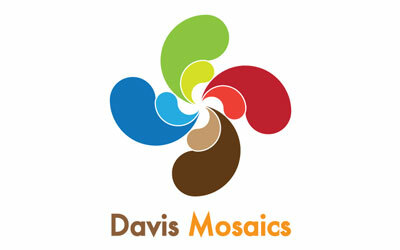 Davis Mosaics is a New Worshiping Community partnered with Davis Community Church. Our mission is sharing God’s love and grace to Millennials (aka Gen Yers) and Gen Zers. Davis Mosaics creates a place of belonging for all… Christian and non-Christian alike. Mosaic is grounded in the spiritual practice of hospitality, enabling us to more fully meet, live with and know our neighbors. Since the original word for hospitality, “philoxenia,” literally means the ‘love of strangers,’ we feel called to create a community of welcome for all. We are a new expression of Christianity that responds to our changing culture in dynamic ways. Join us for a contemporary inter-faith/intercultural Mosaics fellowship every Saturday afternoon from 3 pm to 8:30 pm at the 2nd floor of the Phoenix Hall in DCC. Rev. Dr. Stephen & Grace Moon lead the group of 40~50 who gather regularly each week for 8 intercultural languages, acoustic/folk music, dinner, events and spirituality-developing fellowship. Davis Mosaics is currently developing its leadership team with Millennials by doing bi-weekly leadership training. For more information, please visit its meetup site at: http://www.meetup.com/Davis-Intercultural-Language-Meetup or FB group page at: https://www.facebook.com/groups/mosaicsfellowship. 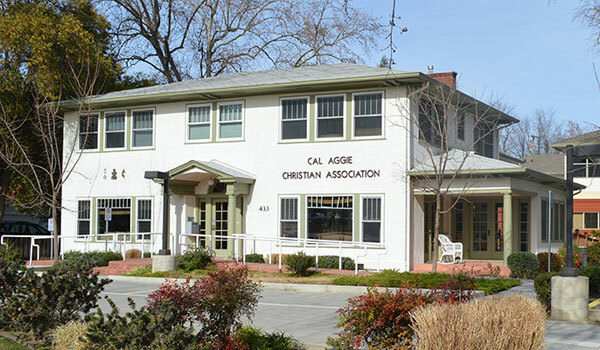 Rooted in a tradition of ecumenical, progressive campus ministry since 1916, the Cal Aggie Christian Association at UC Davis (CA House) serves the Christian student community through faith-based programs grounded in four basic values: community, faith, social justice, and sustainable living. In addition, situated in an increasingly diverse multifaith environment, CA House embraces and serves students of all faiths and strives to promote interfaith dialogue and understanding. CA House offers a caring, inclusive community where all students can feel free to engage in open discussion and exploration of questions of faith (their own and others’), vocation, and personal identity and growth. CA House is committed to putting faith into action and actively seeks opportunities to promote peace and social justice. Join us for a Christian worship service every Monday. Christian worship and formation are an essential part of our community life together. Each Monday, all are welcome to gather for discussion on the Bible and Christian tradition over a simple meal. Afterwards, prayer, song and reflection on scripture to ground us as a community of faith. Dinner – Wednesday night continues to be the centerpiece of our programmatic ministry. Each week, the main dining room fills with students who come, pray and then enjoy a student prepared vegetarian, kosher meal that utilizes fresh local organic produce grown and harvested by our own students through our partnership with the University student farm. All connected with the university are warmly welcomed. Program – Education about others’ beliefs is most effectively done by understanding that faith traditions are lived experiences, incorporated into the daily practices, influenced by culture, connected often to family traditions. Providing set aside time to learn about each others’ practices is an important part of building relationships and growing spiritually. At CA House, a significant time for education is during our weekly programs after the Wednesday night dinner. As students present about their own faith, the ability to articulate faith and practice is strengthened. As students hear peers sharing about their faith and practice, many are motivated to develop the same ability for articulation and compelled to clarify different aspects of their beliefs. The weekly program is a rich time for deepening with compassion and joy.